Welcome to Chapel Hill Neighborhoods! Map of Town of Chapel Hill and Map of Town of Carrboro. Are you moving to Chapel Hill for the schools? One of the reasons my clients choose to live in Chapel Hill is the excellent Chapel Hill/Carrboro school district. If a home isn’t in the shaded area of the above two maps it is not in the Chapel Hill-Carrboro City Schools. That isn’t necessarily a problem because there are other good school systems, it just can be confusing if you are specific about being in the Chapel Hill Schools. Here is more about the Chapel Hill Schools. What are the best neighborhoods in the Chapel Hill school district? Southern Village was developed in the 90’s. It was the first planned development with small lots and a commercial area. Even though the homes have some age on them it’s still hugely popular because of proximity to UNC, community pool and tennis, variety of homes, and shops and restaurants. 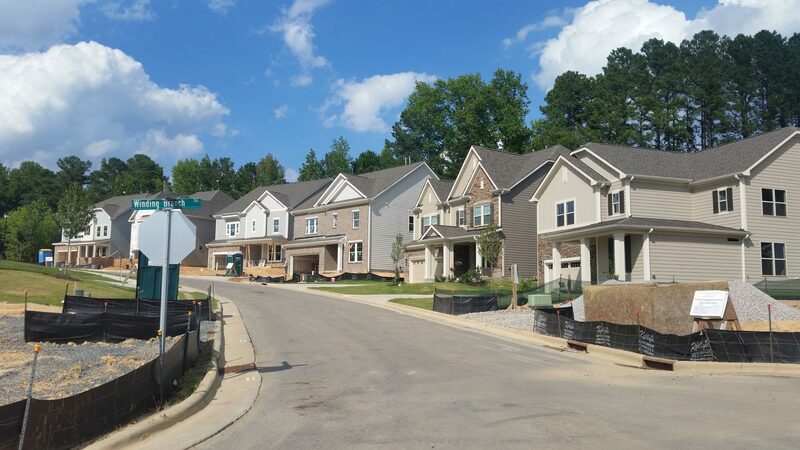 Meadowmont is a planned development with commercial area, YMCA, variety of homes, shopping, restaurants, elementary school and walking trails make it a top choice for Chapel Hill neighborhoods. It’s pricey though. The Oaks surrounds the Chapel Hill Country Club. It’s a friendly neighborhood more manicured than many in Chapel Hill. Gimghoul is in the area around UNC. Some of the most expensive homes in town. It’s beautiful, small and university focused. Chesley.Very hilly nice big homes. Springcrest. Great location and popular price range. 400’s to 500’s but not manicured. I don’t think many people have a yard service here. Colony Lake is popular with UNC employees and staff. It’s on the bus line and a good neighborhood to get out and walk. Modest homes. Lake Forest was built around Eastwood Lake. This neighborhood is for you if you like trees and an overgrown look, many homes from the 70’s and 80’s. Larkspur was built in the 2000 and has some really good floor plans, tall ceilings and a neighborhood pool. Very good quality homes. 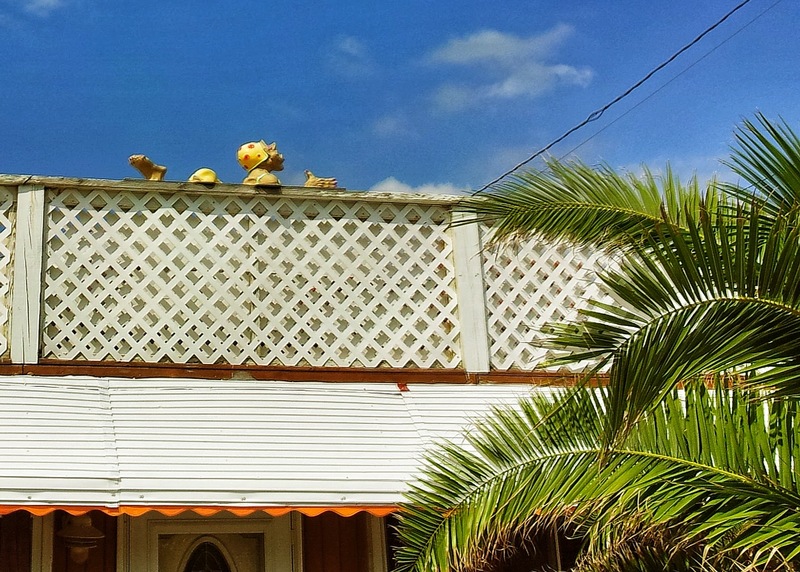 There isn’t much variety in the exterior materials. Stoneridge was built in the 80’s and has a neighborhood pool, acre + lots, mixture of home styles, lower County taxes but still in the Chapel Hill/Carrboro school district. Chapel Hill has three historic areas Franklin-Rosemary, Gimghoul, and Cameron-McCauley. Franklin Street generally has the highest priced homes in the historic areas ranging from the $800,000’s and up. Westwood- a campus area located off South Columbia Street near the UNC Hospital. It has winding streets and wooded lots with an eclectic collection of homes built from the 1920’s to an occasional home on an infill lot today. Prices start at around $400,000 but sometimes a little rental cottage will come on the market for less. Greenwood has a neighborhood conservation overlay with regulations about building and renovations. The area around the star on the map is the University and downtown historic area. Chapel Hill is a university town and while we have some beautiful older homes most of the historic area homes are fairly simple compared to those in Southern towns that were formed because of business and manufacturing. The Town Center is considered the intersection of Franklin St and Columbia St. Franklin Street is Chapel Hill’s main street with lots of local restaurants and shops. The main downtown crossroad is Franklin and Columbia Street, which goes South through the UNC campus and will take you to Chatham County and Pittsboro. North of Franklin St. the same street is MLK Blvd and will take you to I-40 and Hillsborough. Many people define Chapel Hill by the area within the Chapel Hill/Carrboro City School District. If you are thinking about building or renovating a home in the Town of Chapel Hill there are neighborhood protection areas and districts regulating what you are allowed to do with the property. 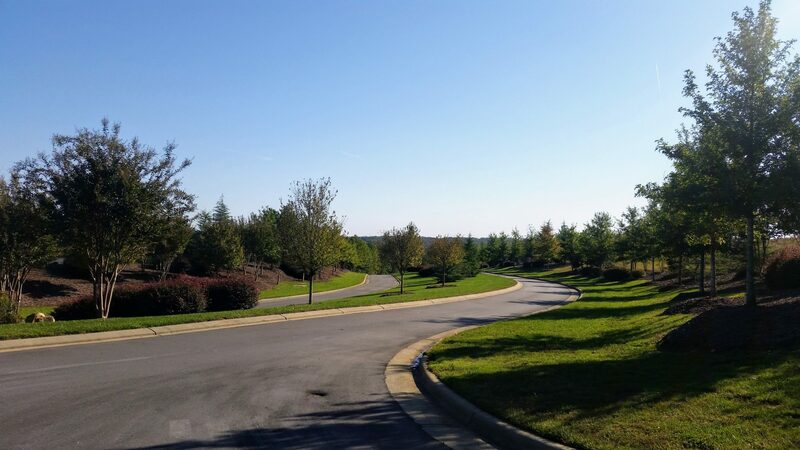 Also South of downtown are the neighborhoods of Southern Village, Chancellors Ridge and Hundred Oaks along with The Reserve and Hunts Reserve.The Reserves are the only two neighborhoods in Chapel Hill with OWSA (city)water and sewer and acre plus lots. Other large lot neighborhoods are in the county with well and septic are Hunters Ridge, Sun Forest, Beechridge,and Laurel Hills. Greenwood is bordered by 15-501 and hwy 54 and is just down the hill south of UNC and Chapel Hill. The playwright Paul Green developed the neighborhood in the 1930’s as a special place with affordable homes for artists and intellectuals. The beautiful lots are at least an acre and wooded. Home prices have varied from the $300’s up to over a million. Recently a developer tore down an existing home and built a large new home that sold for over 1.8 million. This was a wake up call to the neighbors who had the town designate the area as a Neighborhood Conservation District to protect the neighborhood from mega sized homes and preserve the harmonious look of Greenwood. Presque Isle-condos, Colony Woods, Colony Lake, The Oaks, Provendence Glen-condo, The Oaks, Finley Forest, Pickard Oaks-duplex town homes and Springcrest. Marianne Howell Wright, owner and broker with Triangle Area Real Estate and member of the Greater Chapel Hill Association of Realtors. Summer is over and the pools are closed. Where are indoor pools in Chapel Hill? We have a pretty good selection of indoor pools for year around swimming. Take a look at my list below and let me know if I missed any. You may also be interested in my page describing which Chapel Hill neighborhoods have neighborhood pools. (located across from the main Post Office) You can’t see it from the road it’s well hidden. It’s been recently renovated. (919.968.2799) is fairly new and nice. It’s right off MLK Drive and located in Homestead Park. If you are a student or a full or part time employee of UNC you are eligible to use the Bowman Gray Indoor Pool. The web site has information about fees and schedules. Beware of the campus parking problem! Remember buses are free and there are lots of park and ride lots around. This Olympic-length pool includes two 50-meter, six 25 meter, and six 25 yard lanes and is accessible through the Woollen men’s and women’s locker rooms. This is my first choice now. 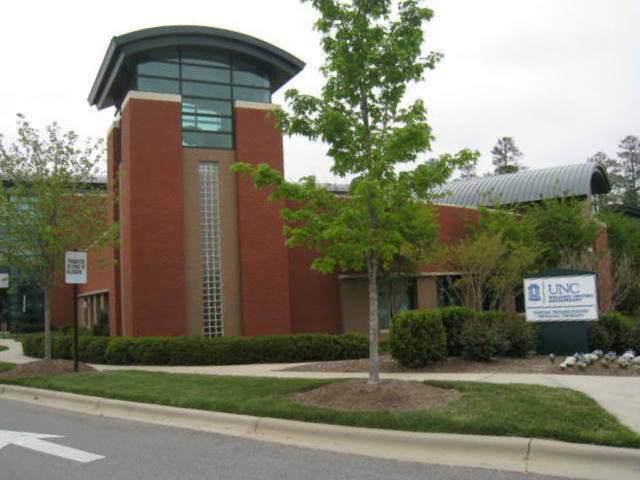 The UNC Wellness Center is a wonderful facility and has the whole package. Swim, walk ,use the weight machines, have a massage, take a class then go over to Brixx for lunch and have a healthy salad or because you have worked out so hard have a pizza and beer. This is a good location if you live on the North side of town and like to swim laps. Hollow Rock has been around for a long time. The club has a 25-meter 8 lane heated lap pool that is open year round. During the colder months the lap pool is protected by a high quality “bubble”, making swimming possible year-round. If you know of any other indoor pools in Chapel Hill please let me know.